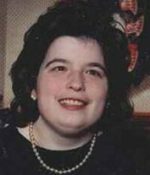 Remembering Jane Wall | Remembering Jane Wall | De Soto Obituary Search | Dietrich-Mothershead Funeral Home, Inc. Remembering Jane Wall | De Soto Obituary Search | Dietrich-Mothershead Funeral Home, Inc.
Jane Ellen Wall was born in St. Louis on June 4, 1972. She died on February 18, 2016 at Missouri Baptist Hospital at the age of 43. She is survived by her mother: Polly (nee Sanders) Seidl and her husband Steve, Farmington; her father: Denny Wall and his wife Cindy, Festus; her son: Jeff Wall, Farmington; two brothers: Brian (Amanda) Wall, De Soto and Cameron Seidl Farmington; step sisters: Samantha (Sean) Stormer, St. Louis, MO and Kodie Seidl, De Soto, MO; and two step brothers: Nathan (Angel) Overberg, Festus, and Josh Seidl, De Soto. 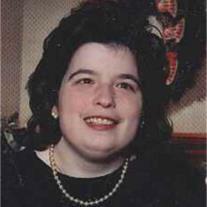 She is preceded in death by her twin sister: Julie Ann Wall. A graduate of De Soto High School she had worked as a greeter at the De Soto Wal-Mart. Janie was a huge fan of Kenny Rogers. As an expression of sympathy memorial donation may be made to United Cerebral Palsy 13975 Manchester Road| Manchester, MO 63011 or to Shriners Hospital for Children 4400 Clayton Ave, St. Louis, MO 63110.